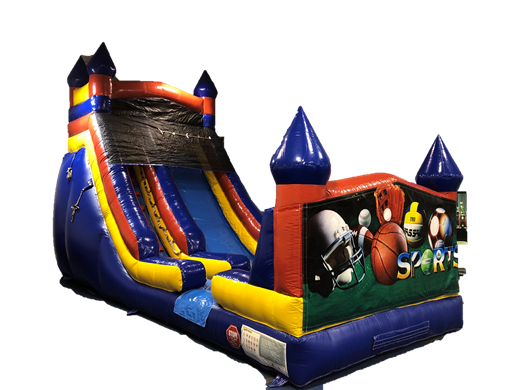 This 18ft high Castle slide with optional decorative panel is great for all ages and party types. i.e., weddings, fundraisers, birthdays, family reunions, etc. Check out our panels in the accessory page to add to your theme.